Rinpoche was born in Taiwan when his mother (a Mongolian princess) and his father (an already-married Tibetan man) had an affair. 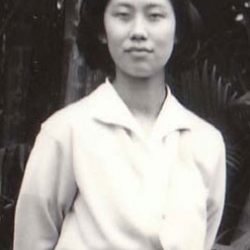 Because his birth was illegitimate, and Rinpoche’s mother was a member of the royal family, she could not bear the reputation associated with an illegitimate birth so she gave up her child for adoption. 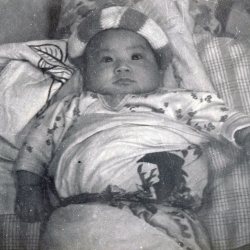 Rinpoche spent a few difficult years in Taiwan as a toddler, before he was adopted to a Kalmyk family who lives in New Jersey, USA. 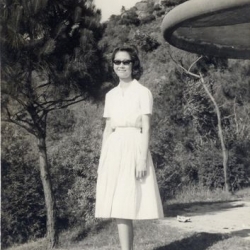 Rinpoche’s stepfather in New Jersey was called Boris, and his stepmother’s name was Dana. As a child, Rinpoche was always running away to his local temple to talk to the monks, recite mantras, and ask questions. 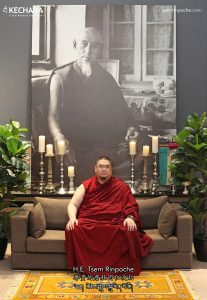 Rinpoche’s stepparents were not happy about Rinpoche’s strong desire to do Dharma and to learn more about Buddhism – they wanted their son to grow up, go to college, have a family and continue the family line, get a good job, etc but Rinpoche did not want that for himself. After many years of physical and emotional abuse from his parents who are trying to stop him from doing Dharma, Rinpoche ran away from his home to go to Los Angeles which is on the other side of America. Rinpoche was 16 years old at the time. There, he joined a Dharma centre call Thubten Dhargye Ling (TDL) which was being guided by the great Geshe Tsultrim Gyeltsen. Rinpoche lived in the Dharma centre at this time, and worked three jobs to support himself… AND serve his teacher, attended classes and did pujas! Can you imagine a 16/17 year old doing all of this?! It was at TDL that Rinpoche meet HH Zong Rinpoche, who had travelled to America to give teachings and initiations. Rinpoche and Zong Rinpoche became very close, and Rinpoche would serve Zong Rinpoche very closely. One day, Rinpoche asked Zong Rinpoche if he should be a monk or an actor – Zong Rinpoche said he would be equally successful as both, but if Tsem Rinpoche became a monk he would benefit much more people. So Rinpoche made a promise to Zong Rinpoche to become a monk and a little while later, Zong Rinpoche passed away. After Zong Rinpoche passed away, Tsem Rinpoche travelled to India to keep his promise to his root guru and become a monk. Rinpoche took his ordination vows from HH Dalai Lama, and joined Gaden Monastery in South India. This is just a really short, summarised version of Rinpoche’s lifestory! 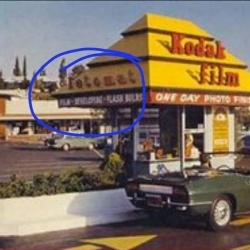 If you want more information or photographs, you can check out this link. Rinpoche becoming a monk is not just to fulfill his promise to Zong Rinpoche, he became a monk is because Rinpoche has a very great heart, he didn’t want to spend his whole life working just for himself, he want to spend his life to benefit as many people as possible. Tsem Rinpoche’s guru devotion to his teacher is incomparable, even his teacher already not around, but he still hold his teacher very close to his heart, he never break his promise to his guru, he hold it very tightly even until today. To his guru, he is like that, to his students, he is even more, because he not only fulfilling his promise, he also wanted to make sure everyone who are working with him are well taken care of. Rinpoche’s mind will never be at ease as long as there are people till suffering, but he doesn’t sees this as suffering or tiring, because as long as he can benefit even just one person, this will be his happiness. 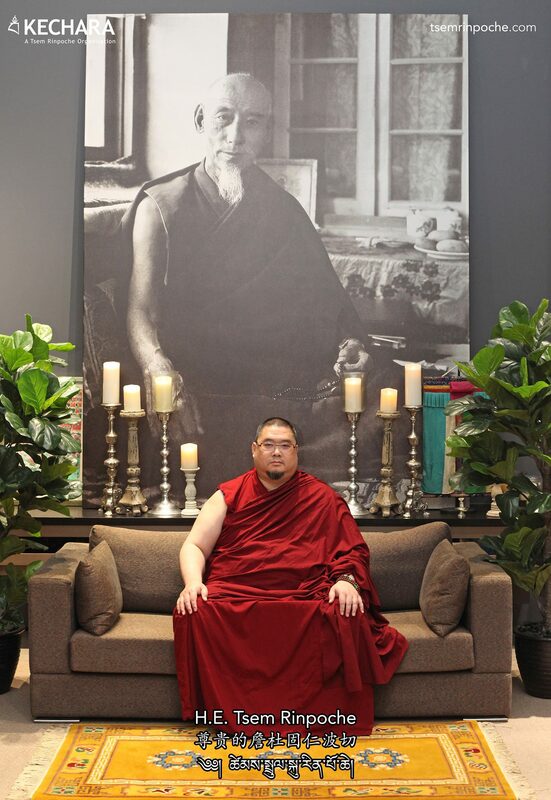 Thank you for sharing Rinpoche’s life story in short. Rinpoche has been an inspiration to many people and have benefited many people as Rinpoche had promised his guru. Rinpoche has endured so many challenges in his life yet only continuing to pursue the dharma and not giving up, it only makes me want to work harder and not give up on the things I want to do. The Dharma imprints inside Rinpoche must be so strong that Rinpoche would do all that is possible to be close to Dharma. So much physical, verbal and mental abuse that Rinpoche had to go through and yet he always put Dharma so close to his heart. 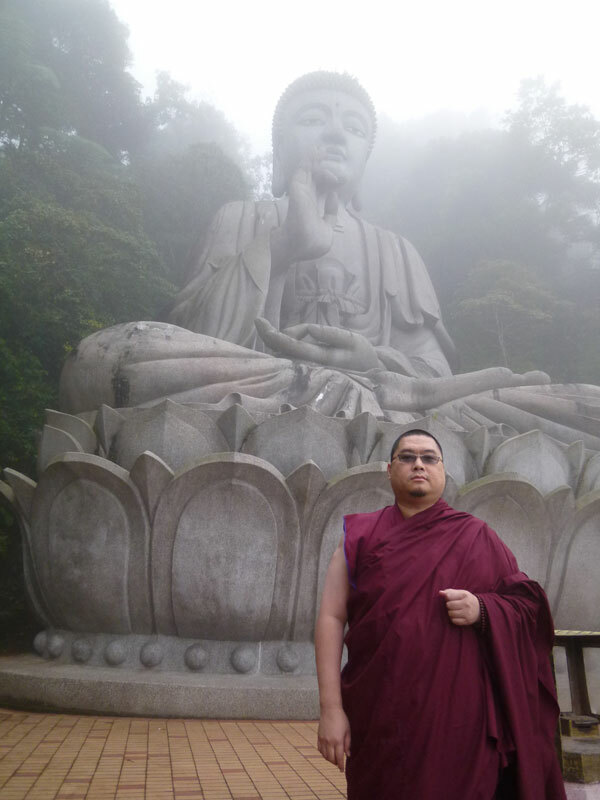 We are truly blessed to have Tsem Rinpoche to be with us in Malaysia. Without Rinpoche, Malaysia is like a spiritual desert and we will all go though our lives so ‘normally’. Thank u uncle Henry for sharing Rinpoche’s life story in short. It is amazing how Rinpoche’s story can be told over and over again and we are always constantly amazed with the things Rinpoche has to go through to what we have today. One thing though, Rinpoche’s perseverance for Dharma is always strong and consistent. Rinpoche’s faith and attraction always never waver. It is a very strong indication that we should do the same. Thank you Mr Henry for the summarised introduction of Rinpoche.it easier for newcomer to have a glance through of Rinpoche’ bio. Thank you to Henry who managed to summarise RInpoche’s illustrious life story into a short essay. That is pretty amazing. When reading this short summary, one can already learn how Rinpoche has came to be. One can learn how Rinpoche had to face so much suffering just so that Rinpoche could benefit others. Reading this makes even the most proud man humble, I feel so much respect for Rinpoche. A normal human being would have took the easy way out and end their life but Rinpoche continually strived on and pushed, so that others may benefit. Thanks Uncle Henry for summarize Guru bio, Rinpoche experienced so much in his life so Rinpoche always use many type of skillful way to make Dharma teaching interesting and let us can adsorb easily. Thanks Rinpoche for bring Dharma and teaching to beautiful Malaysia. Henry sums up Rinpoche’s life in a few paragraphs. Doesn’t that stir you up to want to know more? Get a copy of The Promise and get a chance to see many never-before-published photos of Rinpoche and His family. Rinpoche can have a very comfortable and easy life if He listens and follows what His foster parents want Him to do but instead Rinpoche listened to the advice of His root Guru Zong Rinpoche.Zong Rinpoche told Tsem Rinpoche that He can be very famous by becoming an actor in Hollywood or if He becomes a monk He can benefit so many sentien beings, so Tsem Rinpoche chosed to be a monk to benefit others despite all the hardships and difficulties he has to face. Tsem Rinpoche’s samaya with Zong Rinpoche is so pure that He always practise Guru Devotion by keeping His Promise. Thank you Henry for this interesting short summary of Rinpoche’s life. Thank you, Henry, for sharing this summarized yet enough to cause curiosity for us to want to know more about Rinpoche. 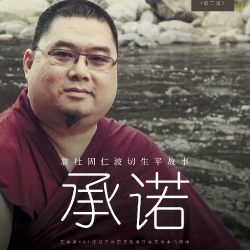 More information of Rinpoche can also be found on the pictorial biography book “The Promise” which is available in Kechara Paradise outlets http://www.kechara.com/shopping, Kechara Media and Publications http://www.kechara.com/publications/, Vajrasecrets http://www.vajrasecrets.com/ and all leading book stores. “The Promise” is about how a single promise to His Guru brought Rinpoche around the world and into the hearts of thousands. Thank you, Rinpoche, for your unending compassion and an inspiration for others. Thank you Uncle Henry for this wonderful sum up of Rinpoche’s extraordinary life! Henry has known Rinpoche for over a decade and Henry stuck with Rinpoche through thick and thin. I sometimes wonder… even if Rinpoche’s parents disowned him… we are here for Rinpoche. We are actually Rinpoche’s family in a sense (those that stuck with Rinpoche through thick and thin). I just want to say that even though Rinpoche is a highly attained being in so many people’s eyes, but deep down inside Rinpoche still has feelings and has to go through the human conditions of disappointments and pains just like any of us, but how Rinpoche deals with it is so different from us all. How does Rinpoche do it, we may ask… the answer from Rinpoche is simple as he has advice us many times, apply the Dharma. Sometimes it is nice if we could turn it around and think how Rinpoche feel, perhaps then we would be able to take away some of the pain and heartaches from Rinpoche. I don’t think I know of anyone who has gone through as much hardships as Rinpoche and come out with such a positive mindset that could lead and inspire so many of us in to being more kinder, happier, peaceful, positive. Rinpoche really proves to us that Dharma is real and Dharma is applicable if only we choose to follow it. And by doing so we become winners even though everything seems to be falling apart. With every problem we face in life, there is a solution, the key is to never give up especially in one’s spiritual practice because at the end of day, at the end of this life, that is all we can really take with us. Rinpoche suffered so much just to benefit us. 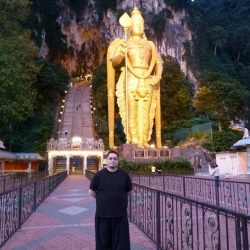 We really should appreciate him in Malaysia teaching us the Dharma. Still we don’t appreciate him. It is amazing how Rinpoche managed to do three job when he was 17 years old. To us we can’t manage three jobs at he same time. But Rinpoche always dreams big. He never says i can’t. This is a post that tells us nothing is impossible. WE should follow Rinpoche’s teaching and learn as much as we can from it so that one day we can also benefit others. 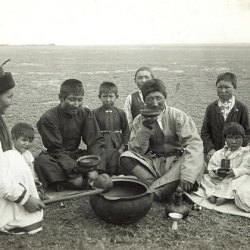 We have often heard stories of high lamas being recognized at a very young age and whisked away to the monastery to live a princely life, as all reincarnated high lamas should be accorded. But this is not the case with Tsem Rinpoche. This is unusual because if anyone were to study Rinpoche’s achievements in his past lives, one would instantly recognize Rinpoche’s high attainments. 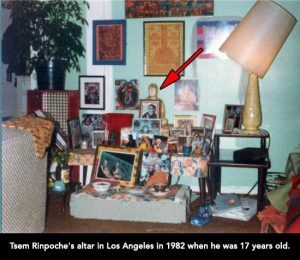 Why is Tsem Rinpoche different? It can only be one reason ie that Tsem Rinpoche in the past would have prayed and aspired to be born into difficult circumstances and have to fight hard to for the Dharma. There can be no other reason. Highly attained beings are not bound by karma, but instead chose the time, place and circumstances of their rebirth and this is something we must never forget. 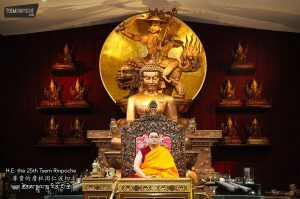 To have undergone what Tsem Rinpoche did empowers Rinpoche to be a living and breathing example that anything is possible, and Rinpoche’s story is literally one of a lotus blooming out of the muddiest water. It is to show us that we can transcend our own circumstances which we always rely on as an excuse for why we do not try or why we fail. To have gone through such tough situations and emerge so full of wisdom and kindness is prooof that Dharma is real, it works and it is powerful. 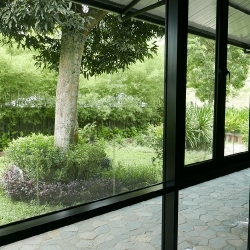 No one can ever say to Tsem Rinpoche that he doesn’t understand what they are going through. The point is, we are to learn and be inspired by Rinpoche’s story. Most of us are born with conditions which are significantly conducive for the Dharma and yet we fumble with the opportunity. 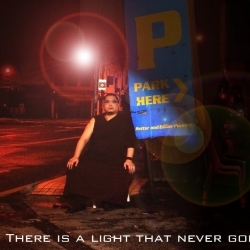 Just think…Tsem Rinpoche didn’t run away because his family was poor, not did he run away to join a rock band. He ran away and gave his life for the Dharma, knowing full well that the essence of Dharma is to benefit others. You hit on a very good point about Rinpoche. he wasn’t sent to the monastery like other Tulkus. He found his own way to the monastery out of his own free will and he just wanted to be in the monastery or go meditating in the wilderness. These are some of the most powerful passions that drives rinpoche with whatever he does. It takes a very special being to have endured all the obstacles and still have the determination to enter the monastery in order to benefit others. This sheer determination for the Dharma characterizes Rinpoche and all High Lamas. In itself, it reveals Rinpoche’s high attainments and that he is back to continue where he had left off in his previous life. From a runaway kid in America to a High Lama truly reveals his inner nature. However, in following his Lama’s instructions, he is here in Malaysia spreading the Buddhadharma and through following instructions, he is directly affecting the lives of many Malaysians and together, he is building Kechara organisation that we can see today. A lot of hardwork, fundraising and planning ahead with a lot of blood, sweat and tears for this. Very short and interestingly summarized! It does make me want to know more about Rinpoche! Especially the part when Rinpoche was a young boy and teenager. 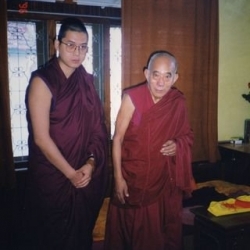 How much Rinpoche suffered and went through just to do something He really wants since young. Although it was hard, Rinpoche persevered and pushed on. Without that perseverance, we will not have Kechara nor the precious teachings. Thank you Rinpoche and Henry! Henry’s brief on Rinpoche’s early years stirs up one’s curiosity to want to know more about Rinpoche. Good write-up and hope many people will benefit from reading it. The biography is very truthful and sincere and a lot of research was done by Rinpoche’s close students. I like how Uncle Henry manages to squeeze so many important events in RInpoche’s life that will fill a huge book(which is out btw, go grab a copy! hehe) into less than 10 paragraphs! Thank you for sharing, Uncle Henry. Henry knows Rinpoche very well and is one of Rinpoche’s close, loyal and senior students. He is one for few words but manages to convey everything needed! Do read Henry’s own biography “Life is a gamble”.. it is a very concise biography of Henry’s eventful life, written in a very direct way as is Henry’s style. 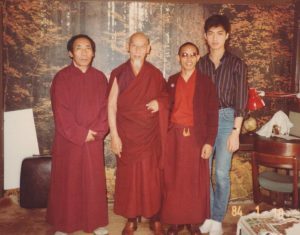 Nice sharing by Henry… Henry certainly knows a lot of about Rinpoche and can really share so much with us about Rinpoche’s past. The more I know Rinpoche, the more I realize how Rinpoche has ‘given up’ so many things in life just to pursue the Dharma. It is amazing how one single person can go through so much hardship and yet still so passionate about pursuing the Dharma instead of taking the easy way out like how most of us would. We are fortunate to have Rinpoche in our lives, and through this we must appreciate this rare chance of meeting such a highly reincarnated Lama and make sure we always keep our promises and samaya clean. Just reading this short summary, one gets the feeling of tumultuous changes that seemed to have shaped the Rinpoche that we know today. The dramatic escape from his foster parents reflect his utter determination against all odds to be the compassionate monk that we meet today. 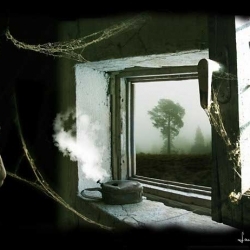 A will power that could only be compared to the likes of the Buddha, Atisha and Milarepa. If one understands what tulkus are, Rinpoche should be counted amongst the most attained simply because of the tremendous zeal he has for the Dharma and no obstacles and problems that can keep him away from practicing the Dharma. No parental, monetary, language, cultural barriers or any other circumstantial problems could keep him from fulfilling his Lama’s wishes for him to become the teacher that he is today. That’s who Rinpoche is and what makes him drives his vision for the future of his work here in Malaysia. 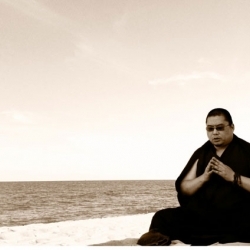 Never one to stay stagnant, Rinpoche looks forward with multiple ways of spreading the Dharma. Thank you Mr Henry for the sharing.Indeed Rinpoche life story is full of challenges and it is because of his true life experience that make his Dharma sharing much more easier to relate to and apply to our daily lives.This is what made our Rinpoche so special. Thank you Henry for the sharing . thank you henry sir for shering rinpoche bio .its realy tuching heart. and thank you guru ji.